This is our reference NY-12309. 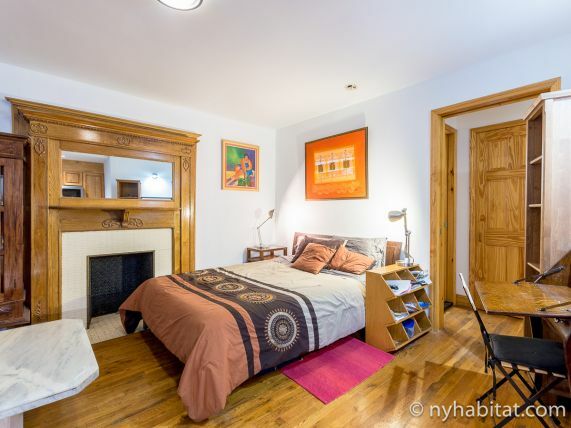 This private studio is located in a central part of Harlem, in the New York City borough of Manhattan. 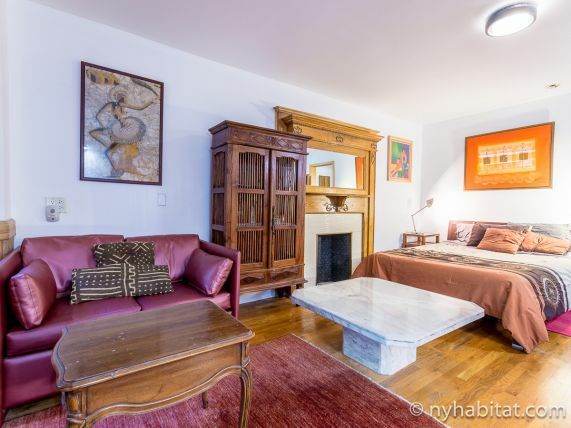 Situated near the intersection of 118th Street and Lenox Avenue, this apartment is found in a brownstone close to Marcus Garvey Park and Columbia University. 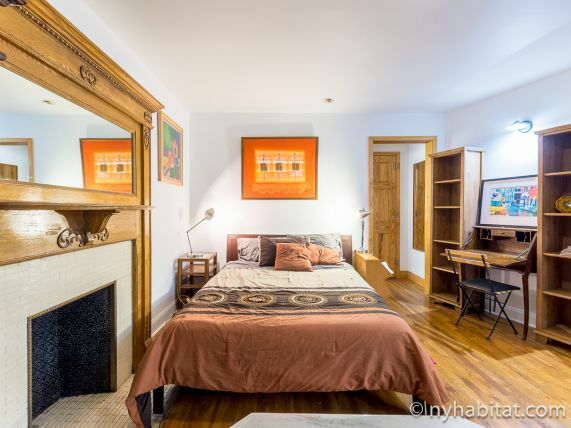 The building has the convenience of shared laundry facilities in the basement (available for a fee). 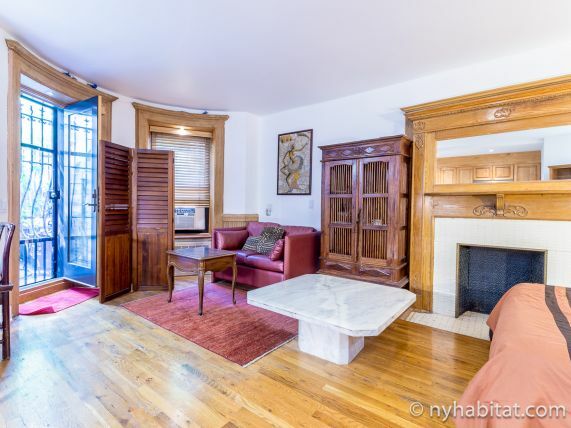 The furnished apartment for rent has a fully independent entrance on the ground floor located about 5 steps below street level. Please note that there is no elevator. 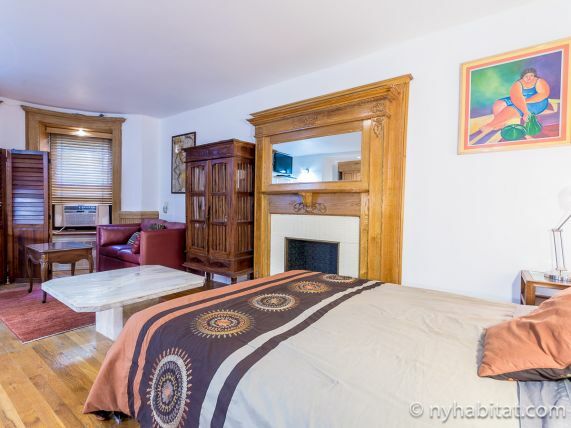 The main room is furnished with a queen-sized bed, a flat screen television with cable and a DVD player. The room features closets and dressers for storage space. 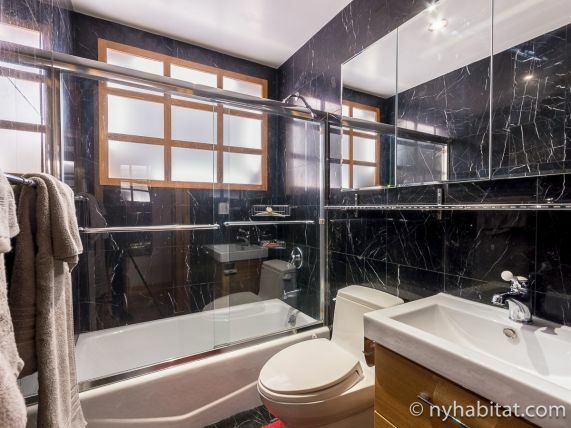 The marble tiled bathroom is immediately off of the sleeping area, complete with combination bathtub/shower, and a sink with vanity. An iron, ironing board and hair dryer are also available. To the side of the bay window that faces the street, there is a sitting area with a table and a sofa loveseat. 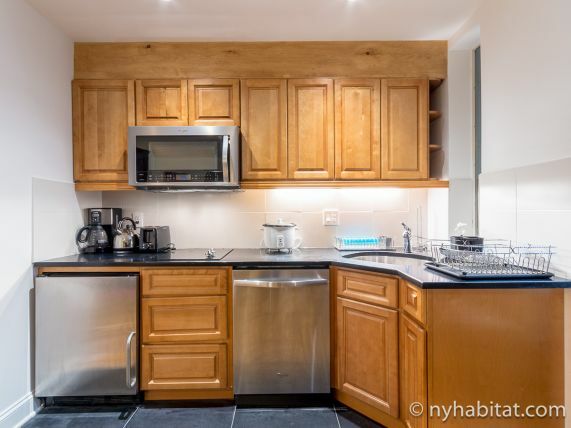 In the corner, you will find a fully equipped kitchen with stainless steel appliances and all the necessary cookware and dishware. 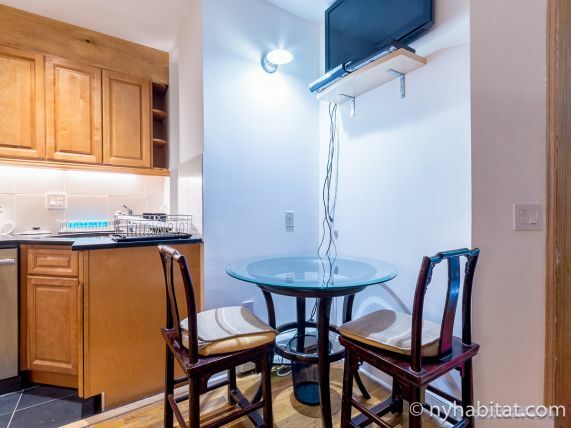 The apartment is conveniently located just 2 blocks (about 250m) from the 2 and 3 trains at 116th Street and Lenox Avenue Station.